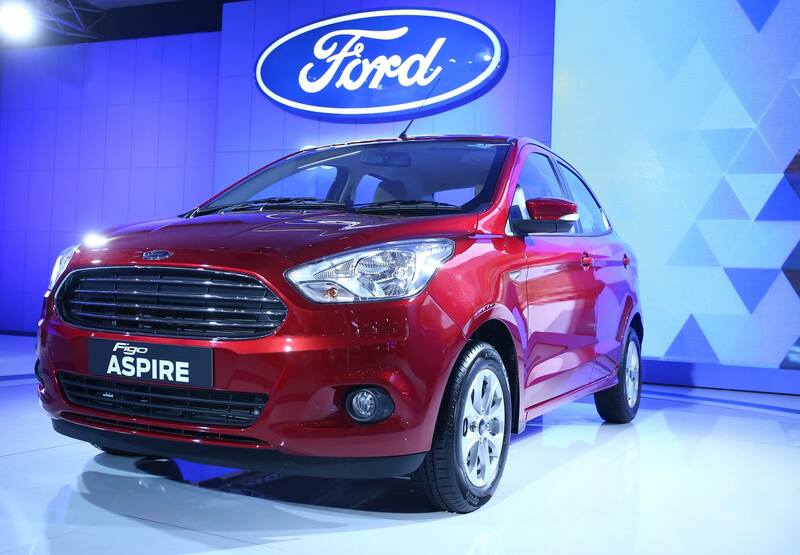 Ford has showcased both the Ford Figo hatchback and its sedan sibling, the Ford Figo Aspire at the Auto Expo 2016. The Ford Figo hatchback is based on the same platform as the Figo Aspire sedan. It also shares some of the design elements with it such as the headlamps, grille and bumpers. The posterior is where the similarity ends. The rear has wraparound taillamps and a sharp crease on the tail gate that is also equipped with a spoiler. The hatchback has dimensions of 3,886 mm, 1,695 mm, 1,525 mm and 2,491 mm in length, width, height and wheelbase respectively. The cabin is endowed with features like black cloth upholstery, automatic climate control, electrically-adjustable side mirrors, multi-function steering wheel and Ford SYNC infotainment system with AppLink. The Ford Figo comes with two petrol and one diesel engine offerings. The petrol engines are a 1.2-liter four cylinder Ti-VCT and a 1.5-liter four cylinder Ti-VCT unit producing 88 PS / 112 Nm of torque and 112 PS / 136 Nm of peak torque respectively. The former is paired to a 5-speed manual gearbox with the bigger power house getting married to a 6-speed dual-clutch transmission. Coming to the diesel, it is a 1.5-liter four cylinder TDCi mill capable of 100 PS and 215 Nm of torque, sending power to the wheels through a 5-speed manual gearbox. 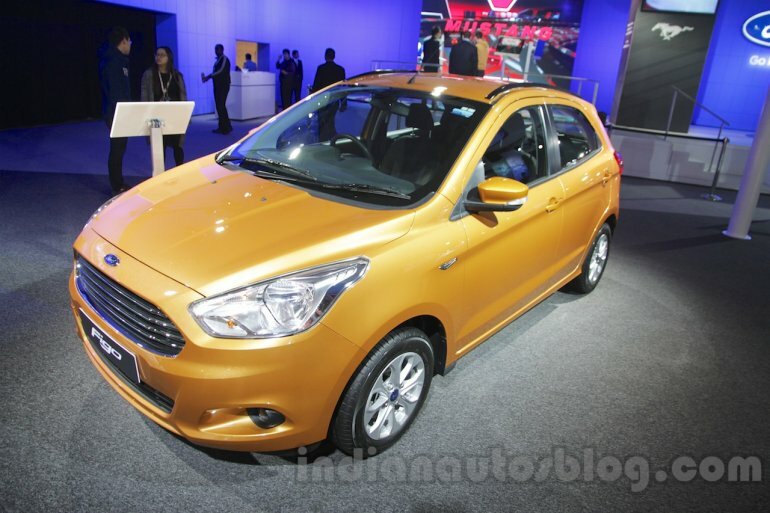 At the show, the Ford Figo was shown with roof rails, part of the official accessories offered by Ford India. The "high grade plastic" roof rails with 3M black tape costs INR 5,998 and is a dealer-fitted accessory. The Ford Figo Aspire was launched before its hatchback sibling and carries the latest design language sported by models of the Blue Oval the world over. The compact sedan has a bold front end, flanks with sharp character lines and short overhangs with the design culminating at a well-thought-out rear. The sedan measures 3,995 mm in length, 1,695 mm in width and 1,525 mm in height. The interior features a dual-tone theme and a cabin layout similar to the Ford EcoSport. The center console is given a piano-black finish and also houses a small display that runs Ford’s SYNC infotainment system. Other equipment on offer are Ford MyKey, power side mirrors, tilt steering, power windows and fabric seat upholstery. Under the hood, it gets the same engines and gearbox options that are mentioned above for its hatchback sibling.